As you requested, here I am with three other texts of the songs of the CD MUSICA with the related translations. “Lontano dagli occhi”, was presented at the Sanremo Festival by Endrigo in a double performance with Mary Hopkin; obtained the 2nd place at the festival and reached the 18th place in the sales ranking. What are you doing, where are you going? “A chi mi dice” is a song from the Blue boy band. It is an adaptation in Italian of the song Breathe Easy, taken from their third album Guilty, written by Tiziano Ferro and published as a single in 2004. Before starting this song I have to explain a little bit of the history of these lyrics. “Arrivederci Roma”, is a song written by Renato Rascel (Italian singer-songwriter) in the popular roman dialect in 1955, is inspired by the beauties of the eternal city, which the tourist admires for the last time, before leaving. 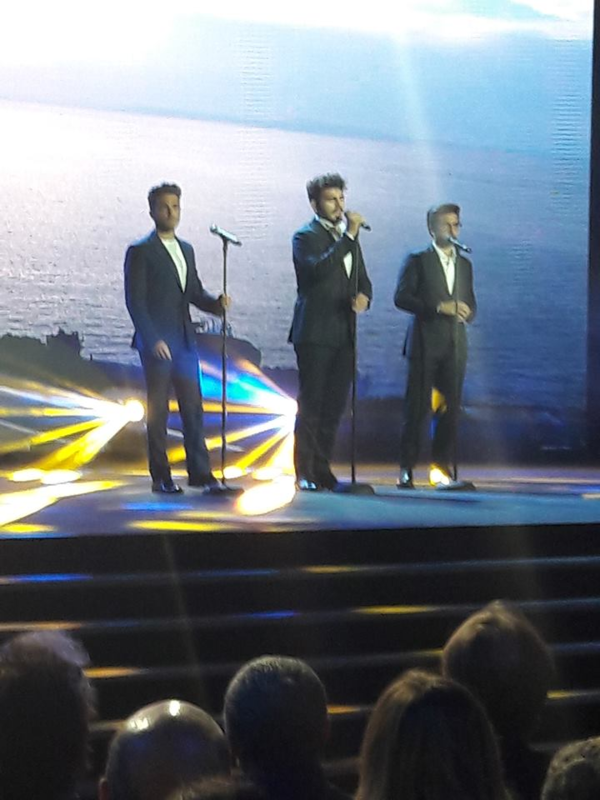 In the version of IL VOLO, all the introduction is missing, starting with the first refrain. The original Italian lyrics are very different from the English translation. I will show the original lyrics and their translation, in this way you can have a comparison with English lyrics. I hope you enjoyed these three beautiful songs and their translations. I’ll wait for you next time, for the last three songs I’m going to translate. Being able to witness the preparations of the artists getting ready for the stage is perhaps an even more interesting and engaging experience than the concert itself. Only members of the staff and a few friends and relatives are allowed in the backstage and in the dressing areas, so being there is a rare privilege. This is the time when the artist, away from the spotlight, shows his most real and vulnerable side, as he is subjected to the tension of “stage fright”, which affects even the most skilled and experienced artists. Backstage of the Rome Palasport, there is little more than an hour before the beginning of the Il Volo concert and preparations are in full swing, but there is no hint of tension or nervousness as one might expect. In the corridors, some orchestra players, still in jeans and T-shirts, are seated on the floor, talking quietly. Some try their instruments in a corner. In turn, they enter their reserved changing rooms to put on their stage suits. 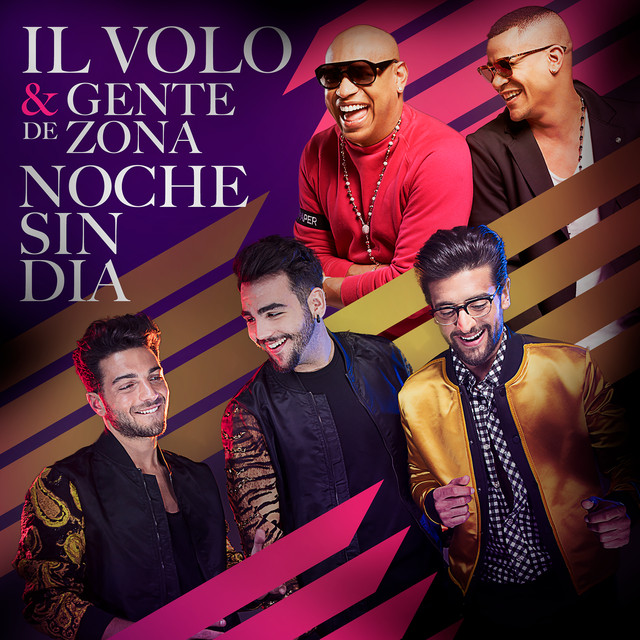 The members of Il Volo, Gianluca, Ignazio and Piero, are closed in their dressing rooms but occasionally one of them comes out, wearing only half the stage suit, to chat with others or to take a selfie. They hug those who have just arrived and, when passing by, they always have a word, a smile or a pat on the back for everyone. Their friends, relatives and staff members chat and joke among themselves in the corridor without showing any sign of worry or anxiety, as if they were in a relaxed family reunion. At a certain point, a couple arrives at the entrance of the barrier zone, pushing a wheelchair where a disabled boy is seated, but they are stopped by a guard who tells them “you cannot go through without a pass.” Ignazio notices them and goes towards the little family group, calling out loud his two colleagues who join him immediately to give a hug to their young fan whose face lights up with joy and emotion. It’s a completely spontaneous action, there is no manager suggesting in a whisper ” take pictures with him, it’s all publicity,” instead we are told not to take pictures or shoot videos for privacy reasons. The three artists have a friendly conversation for a few minutes with the boy and his parents then, apologizing for the short time available, they leave and return to the dressing rooms. Memory took me back then to other backstages with the “stars” passing by without even giving a glance at those present, as if they considered themselves semi-gods, followed by a swarm of breathless and frightened assistants. Even those who seemed nice in reality showed nothing more than compliance, exhibiting boredom and annoyance to make it clear that they were famous and the others were no-one. Their angry voices resonated from their dressing rooms shouting at the poor costumers who had missed a crease or made a mistake with an accessory. I still remember my disappointment at finding out the haughtiness and arrogance of artists who had been described to the public as “friendly and down-to-earth”. But filtering out of Piero’s dressing room you can only hear his powerful trills while he is “warming up” his voice. Then, suddenly, a Latin American rhythm resounds at full volume, the door opens and Piero comes out dancing, wearing the trousers, the dress shirt and the bow-tie of his stage suit, and swirls around grabbing orchestra members, already in their evening dresses, who laugh. His father, standing in front of the door, smiles understandingly. Ignazio and Gianluca come out and join the improvised dancing, then someone reminds them that there are only a few minutes left before the beginning of the concert and they return quickly into their respective dressing rooms. A few seconds later, Ignazio comes out again in his socks and with his shirt unbuttoned and runs to the entrance of the corridor screaming at the manager as he passes: “I have to go and get Alessandra’s cousin, they won’t let her in.” He returns shortly afterwards with the young girl and introduces her to everyone before locking himself in again. Therefore Ignazio and Piero are ready first, and while waiting for Gianluca, they joke with the orchestra conductor. When there are only five minutes left to the beginning of the concert, a production staff member announces that there is a journalist who would like to interview the boys. Michele Torpedine, their manager, argues that there is very little time but they say they are available. Ignazio and Piero invite him into the dressing room and Gianluca joins them shortly afterwards. At this point it is quite normal to wonder whether the journalists who have often painted them as conceited and arrogant were trying to exercise a perverse power in shaping public opinion by presenting them in the opposite way as they really are. These three boys are in fact the antithesis of prima-donna behaviour, they are astonishing for their humility and simplicity. It’s as if they have been able to separate their artistic dimension from their personal one, preserving the solid principles and values given to them by their families, who still show an extraordinary example of loving, present, attentive, and never invasive parenting; a rare quality. This is even more remarkable thinking that these three boys, with similar characteristics, coming from different regions, have met by chance in the same place, at the same moment, creating a phenomenon that enchants the whole world. It really brings us to wonder about the power of fate. Then time comes to move all together towards the entrance of the stage and the backstage corridor empties. The orchestra takes the stage first and plays the introductory song. Gianluca withdraws to a corner with his mother, who adjusts his bow tie, then takes a walk with his brother. Ignazio tells a joke to Pif, a popular journalist who came to interview them. Piero’s father gives a last clean to his son’s glasses, whispers something and hugs him. The orchestra is silent, the audience applauds and Michele announces, “It’s time to go up stage!” We follow the three artists who enter the crowded Palasport hall, welcomed by the roar of a frenzied crowd, and for a moment we all know what it must be like to be worshiped as idols by thousands of people. Grazie Patrizia and Suzan for this wonderful article. You have given us a rare and incredible look at what goes on BACKSTAGE! All credit to article and photos to Patrizia Ciava.